Stuff your stories in a sack mister! I have a great deal to cover and very little time to cover it on this fine evening so I’m going to be executing some truly impressive cop-outs on this post. There are three topics I aim to address in this post and within them sub-topics so I’ll be really skimming a lot of the meat here and getting to the barebones. Essentially I wanted to make mention of the concert I recently went to, the comics I’ve read, and the behemoth of a video game release that I wanted to review. 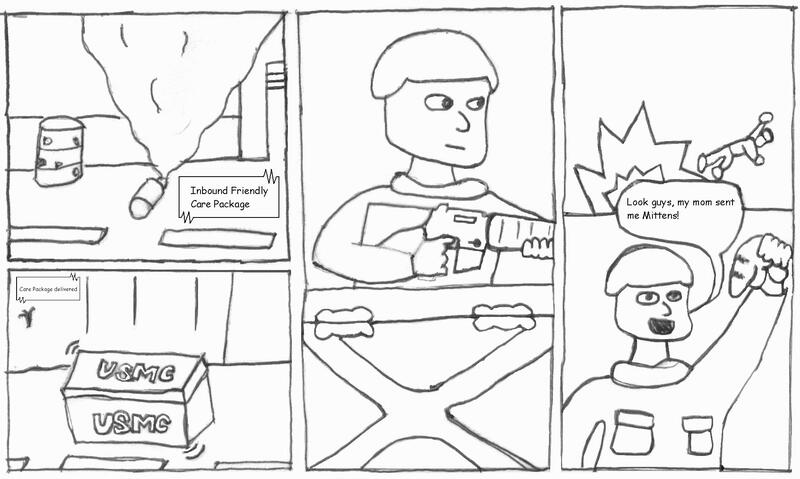 Also, you may have already noticed there is a new portion of the site where I will post my very own comic strips. you can view the comic here, by all means I am eager to get feedback to see if this is something I should continue to build on or if this little foray is better left by the wayside. But without further adieu, I shall begin my distilled posting. First the concert, last friday I went to a small show of an artist called Wax Mannequin with openers Rae Spoon and Mark Bragg. I really enjoyed the show and what I consider to be Ottawa’s finest alternative scene bar Zaphod Beeblebrox was yet again an excellent venue to see a show. I would get into my thoughts of the performances but instead I will leave that to a much more eloquent writer on the topic, my good friend Max has a blog of his own specializing in music and was also in attendance at the show and provided some very insightful analysis. Just to provide some context here, Scott Pilgrim was previously reviewed and the style remains true to the same volume with lots of wacky pop culture mayhem continuing with signature comic flair. Locke & key may be the finest horror graphic novels I have read to date, and both Skim and Fun Home are captivating expositions of self identity and adolescent transition that are deeply moving and poetic in their sincerity. As for Speak of the Devil, I was truly disappointed as I read one of his more recent works Sloth which I quite enjoyed, but this was an absolutely terrible story…disjointed narrative, no attachment to the main characters, it ultimately just seemed half baked. And as for the mediocre products, Green Lantern was good but ultimately fails to offer anything unique to a rather crowded genre while Vol. 3 of Hellboy is a bit uninspired as it seems Mignola was unable to come up with a story arc that lasts more than 10 pages so as a result you have a bunch of quick reading short stories which for the most part don’t add much to the Hellboy universe and don’t develop enough to really be interesting. Now onto the big ol deal, Call of Duty: Modern Warfare 2. Quite possibly the most eagerly anticipated game of the year and easily the highest selling title, I got the opportunity to play my roommates copy and see what all the fuss is about first hand. Now in the interest of full disclosure I feel it’s important to point out that I have a bit of a chip on my shoulder about the franchise as a whole, it’s upsetting that Activision has been steadily pumping out iteration after iteration of what was up until this one’s predecessor (Modern Warfare, which was consequently the fourth game in the series, though the first set in modern combat) a stagnant world war 2 first-person shooter gaming experience. So when I see that Call of Duty is outselling every other unique or original title being released it gives rise to an anger and frustration with the franchise and it’s effect on the gaming industry. However, I went into my gaming experience with as open a mind as I possibly could, given that i acknowledge that it’s not the game-makers fault that consumers are thoughtless zombies that buy the heavily branded overly franchised crap that is shoved in their faces and shouted into their ears. So, how did it fair against my cruel and unreasonable scrutiny you ask? Well, much to my chagrin, quite well… Though I hate to admit it after that little tirade, I have to confess that back when the original Call of Duty was released, I was a very big fan of the game. As such it didn’t take me long while playing this to remember exactly what I enjoyed about it. The action comes at you fast and furious, throwing you into intense war zones frantically shooting the rows of enemies firing on you and your comrades. One problem this game faces however is the subject matter of the story, which is centred around a terrorist plot which catalyzes a war between Russia and the United States that is quite frankly hammy and contrived. The characters you control don’t develop any real sense of a personality and *SPOILER START* are killed off so frequently that you have trouble keeping up with exactly who it is you are *SPOILER END* Sticking to WW2 works well for the developers in that the history is already written and the characters arn’t so very important as opposed to the historical accuracy. The gameplay in single player though is very enjoyable, having some very interesting and varied level designs it feels cinematic and interesting for most of the game. However, it’s short…really short, and as such really what this game comes down to is multi-player. The multi-player is actually quite addictive. 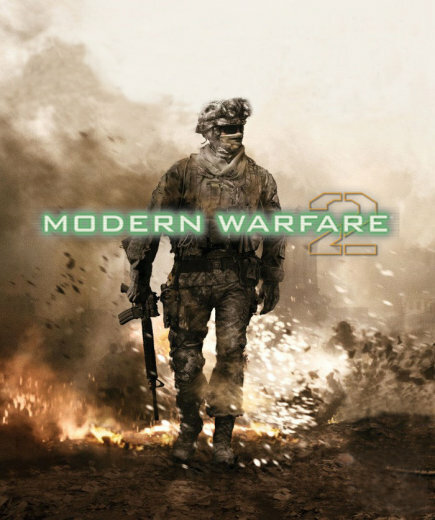 With all the trappings of the first modern warfare the sequel has all the fun level ups and unlockables that reward online addiction and the sacrifice of one’s sexual activity in the service of better gaming. It plays at a style difficult to achieve, between frenetic arena shooter and realistic tactical shooter which hasn’t been perfected by any other series since Counter-Strike. I do take issue with, one being the kill streak rewards which bring in some absurd deus ex machina into the mix (being shot down by an AI harrier is not what i consider sportsman-like) and some over the top notifications, like money flying off of a player you’ve shot down when it was ‘payback’ or a hair metal solo that seems to play every god-damned time you gain a rank. Ultimately it’s an addictive multi-player game with a lot to enjoy with a fun, though more of a merely compulsory single player experience.